In December 2018, the Ministry of Law granted six licenses to Credit Culture offers personalised and instant loan terms from its proprietary credit-scoring engine in Singapore, in a move to digitalise processes and reduce costs. According to the ministry, licensees will be allowed to operate from 2020 for up to two years before MinLaw evaluates the results of the pilot and look into refining the scheme for money lending regulations. The first licensee is Credit Culture, a subsidiary of Dey Private Limited, which scored US$40m in funding back in January from investment holding firm RCE Capital. 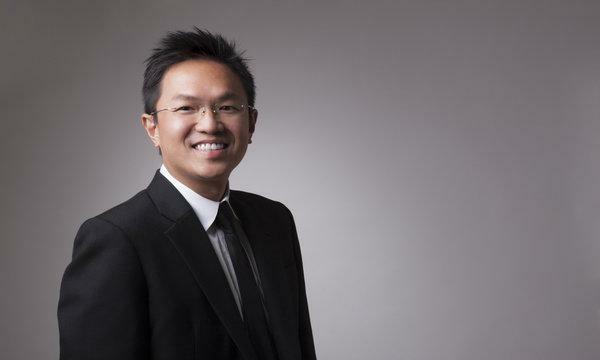 In an exclusive interview with Singapore Business Review, Credit Culture founder and CEO Edmund Sim talked about the firm’s plan to capture Singapore’s highly-banked population. How do you differentiate your platform from the five other licensees who will join the online lending battle? Edmund Sim: Credit Culture is a fintech startup that is part of the personal lending ecosystem. We use technology and innovative solutions to overcome market inefficiencies like high interest rates, the lack of transparency, and the large amount of time spent going through a cumbersome paper process. We offer flexible, fair and transparent terms – no high late interest fees and no extra charges for early settlement. Fully transparent fees and charges help better manage repayments and promote financial responsibility. A simplified online application system that leverages government services like MyInfo to help auto populate the application form. Being a digital set-up, Credit Culture is able to run a lean operation, avoiding the costs and legacy operating processes of traditional financial intermediaries. This enables significant cost savings, which are then passed back to consumers. Therefore, we hope that our technological solutions that in turn, leads to a lower cost of borrowing will offer us a competitive edge in securing users to our platform. How would you describe Singapore's lending landscape? Who is your target market? Edmund Sim: One of the biggest issues with the current money lending landscape is that of transparency. There are many instances where attractive rates are offered to entice consumers to borrow loans. What many consumers fail to consider is that there are many caveats in place along with hidden fees and additional rates that kick in after a period of time. This is a problem because consumers don’t make a fully informed decision on the loans they are applying for. These hidden charges and fees cause problems in the way a consumer would have planned to repay the loan which in turn could make it more stressful when dealing with their debt. Another issue that should be addressed is the process for applying loans. It is still traditional and leverages a manual system of having physical paper trails and manpower physically check each aspect of the application process. This is not to say that due diligence is not important, but with the advent of technology, many aspects of this process can be automated. This saves time, resources, and minimises the possibility of errors. At Credit Culture, these are two issues which we have tackled with our application of technology and innovation to personal loans. Regarding your second question, Singaporeans do have more access to credit, compared to the rest of the region. However, this does not mean that there are no underbanked or underserved consumers in Singapore. Sometimes, there is a need for expenses that stretch the existing funds or savings a consumer has such as paying for a renovation, settling educational fees, or covering expenses for a wedding. This sudden requirement for funds at a short time requires consumers to raise funds. By making it simpler and more transparent, Credit Culture becomes a viable option to help them cover their needs. The use of technology to speed up the process and instantly credit approved funds helps consumers. Can you share about your initial offerings? Do you have specialised offers? Tell us more. Edmund Sim: Currently, our focus remains on providing personal loans in Singapore. As the first fintech company to provide digital solutions for personal loans in Singapore, we use innovative and proprietary technology to enable us to address current market inefficiencies. This in turn allows consumers to benefit from a faster, cheaper and better loan application process that is flexible, transparent and fair. Once you have registered and opened an account with us, you will be able to apply for a personal loan. Credit Culture leverages SingPass and authenticated databases like MyInfo, so that our proprietary credit engine can seamlessly review, screen, and propose personal loans that would suit the consumer’s needs. These loans will then be disbursed immediately via online fund transfer, directly into their account. What are your measures to protect users amidst looming cybersecurity issues by using online financial platforms? Edmund Sim: Security and protection of data is a paramount priority for Credit Culture and we adopt industry standard systems. We adopt the use of site-wide encryption which helps to safeguard information from loss, unauthorised use or modification. On top of this there is end-to-end asymmetric encryption where we use Pretty Good Privacy (PGP) keys to send and receive information. We also use multi-factor authentication to verify personal identity. Lastly, our website uses secure hypertext transfer protocol (HTTPS) which prevents third parties from obtaining information when using our website. Do you have plans to expand to other Asian markets? Edmund Sim: Yes. Close to 70% of Southeast Asia’s 600 million people are unbanked, which represents a huge opportunity for us. For now, we want to stay focused on offering our fintech lending platform in Singapore. We are also exploring other markets such as Hong Kong which is similar to Singapore but bigger and will update in due course when we have developments.